I couldn't find any working links with this file anymore, while there are separate zips for some tools I find this collection of tools to be much easier to install as it also extracts the assets.007 contents and converts them for use in Gearcraft, so have uploaded it here. Nightfire Editor Suite 2 allows you to create your own maps, decompile and recompile already existing maps, decompile and recompile models, and more. I didn't make any of these tools. 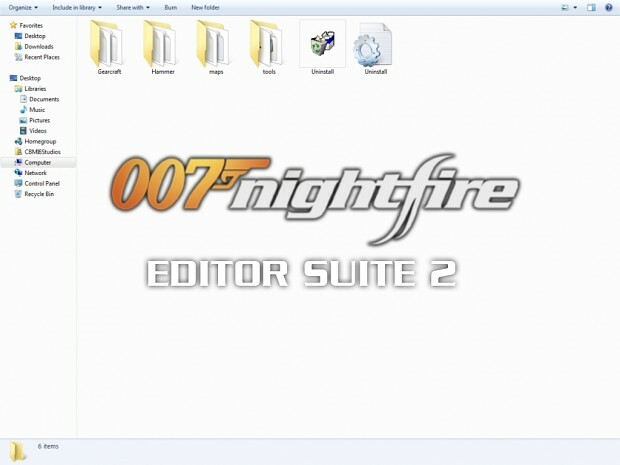 To install just run the NFSuite2.exe file and follow the on screen instructions, but do not change the NFEditors directory as I have found that causes problems for most of the tools.